DELIGHTFUL HOME WITH PRIVACY & SECURITY! .$$..NEW PRICE..$$. You will love the large Family Room with ceramic surround gas log fireplace, built in shelving & window seat, Kitchen (appliances stay) with lots of cabinets, pantry, portable island & ceramic back splash, Dining Room & Office off the entry way. Down the hall you will find the Master Bedroom with full Master Bath, two additional Bedrooms & a full Hall Bath. You will admire the BEAUTIFUL recently REFINISHED HARDWOOD FLOORS through most of main level. The LOWER LEVEL offers an open Recreational area, Exercise room, Bonus room, large possible 4th Bedroom, full Bathroom with ceramic floor and handy Laundry Room. There is an oversized two car Garage (25'x23') & relaxing Sun Room with benches you will enjoy. Some extras: Six panel doors, thermal windows & roof (2-3) years. 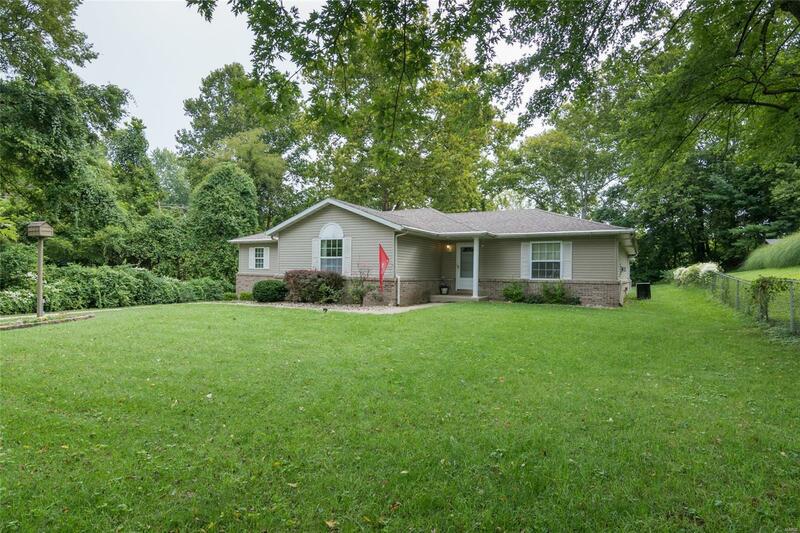 The 1.38 acres is perfect with woods, fenced yard, shed, extra parking, outdoor lighting around the house and a gated entrance. CALL NOW FOR APPOINTMENT!